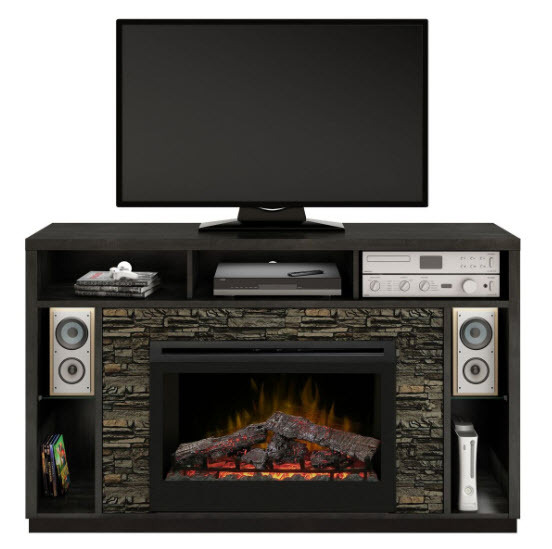 Having trouble deciding between a stylish fireplace and a practical storage solution for your television and electronics? Enjoy the best of both with the Joseph media console. The striking Black Steel finish wraps around the stone look surround, providing the perfect mix of modern and organic materials, while the realistic firebox lets you enjoy the charm and comfort of a lifelike fireplace. 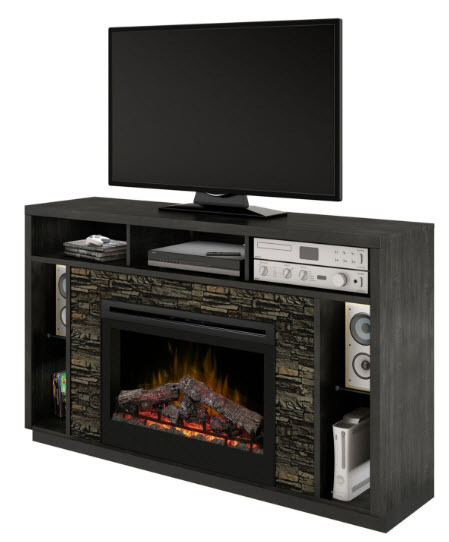 Designed with ample open storage for speakers, electronics and accessories, the fully-assembled Joseph media console is the perfect stage for your home theater experience. 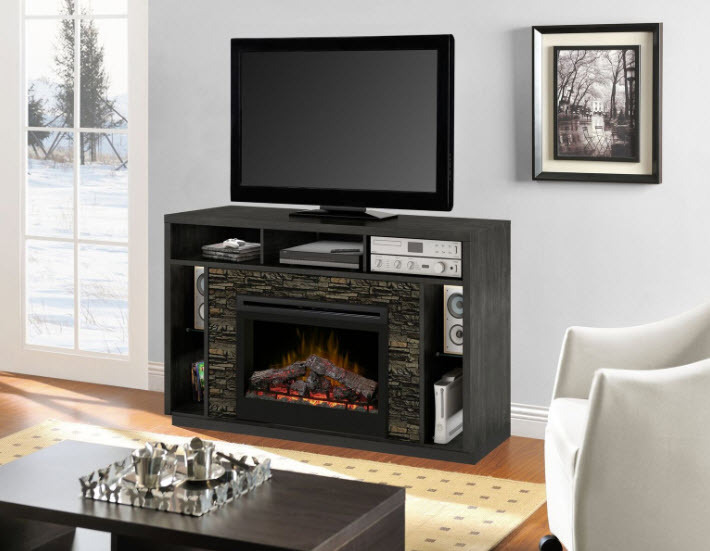 Design and Finish: Features anthracite finish with faux ledgerock fireplace surround. Inner Glow Logs: Patented LED inner glow logs and pulsating ember technology allow the logs and embers to glow in concert creating an unmatched realistic fireplace experience. Thermostat Control: Provides temperature control to ensure consistent comfort. Remote: Includes a convenient on/off remote for ease of use at your fingertips.